Even in our modern electronic age, there’s nothing that helps businesses build credibility with consumers like advertising through TV and radio. With all the scams making the rounds on the Internet and the plethora of “here today, gone tomorrow” websites designed to cheat unwary shoppers out of their money, today’s consumers are savvier than ever, and advertising on local TV and radio stations gives small businesses a great opportunity to build credibility and advertise where their target customers live and spend their hard-earned cash. One catch, as studies have shown, is that for an ad to have any effect on a given consumer, they need to be exposed to it at least three times. Ideally, advertisers should try to reach every person in their target market at three to five times to maximize brand retention and ensure positive feedback. Unfortunately, no matter how many times they air their ads, there’s no guarantee they’ll reach that optimum frequency with every single person in their target demographic. This is where remarketing comes in! Remarketing is unique among advertising methods in that it has the power to follow your customers and give them constant reminders about your products or services. Say a TV viewer sees your ad for a new coffee shop, then takes out their mobile phone and searches for your coffee shop on Google. They find your website, like what they see, and even decide to subscribe for news updates. Normally, this would have a good chance of being the end of the discussion: sure, they might check out your coffee shop the next time they’re nearby, but they might also just forget about it instead. Remarketing helps make sure that latter event never happens: whenever they visit sites within your ad network, they’ll see ads about your products and services, reminding them to give you their business like they were planning on doing. TV and radio advertising are long-term investments that will give you long-term rewards. 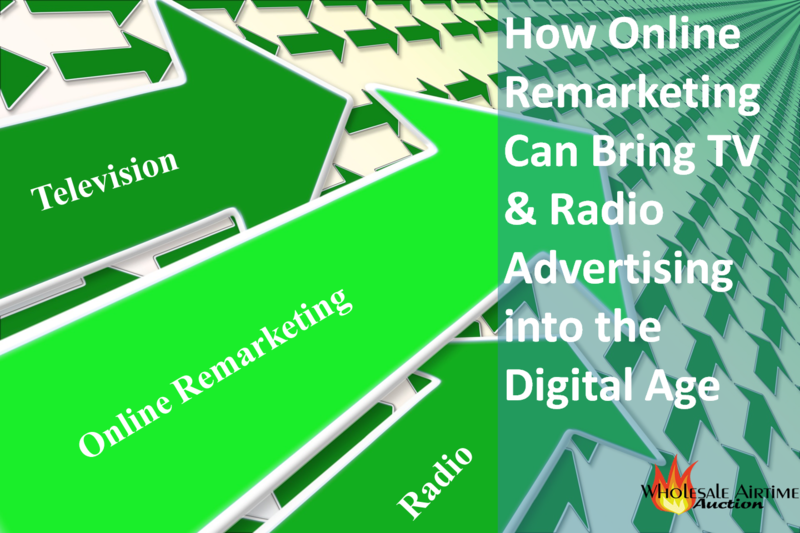 They are the key to getting people to talk about your brand and searching for you on the web, and you can make your TV and radio advertising campaigns even better by using remarketing to extend their reach. By increasing customer engagement, you increase your odds of making a sale – it’s simple math!